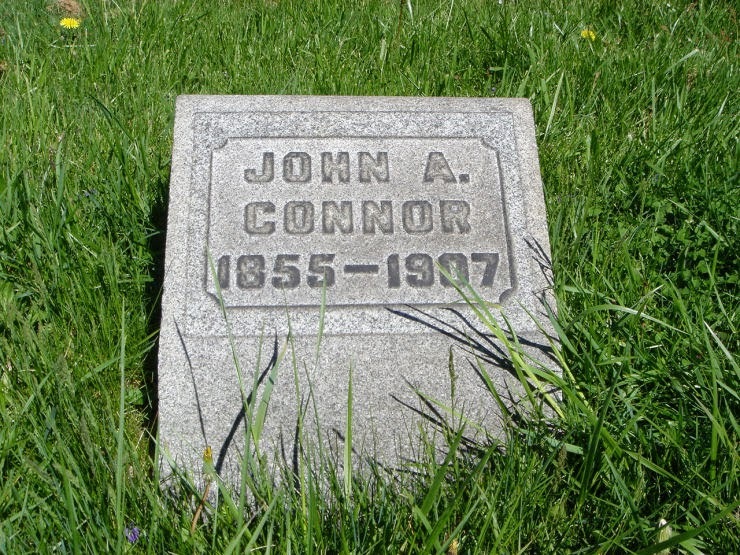 John A. Connor was my 2nd great grand uncle, and the husband of Anna E Lowry. 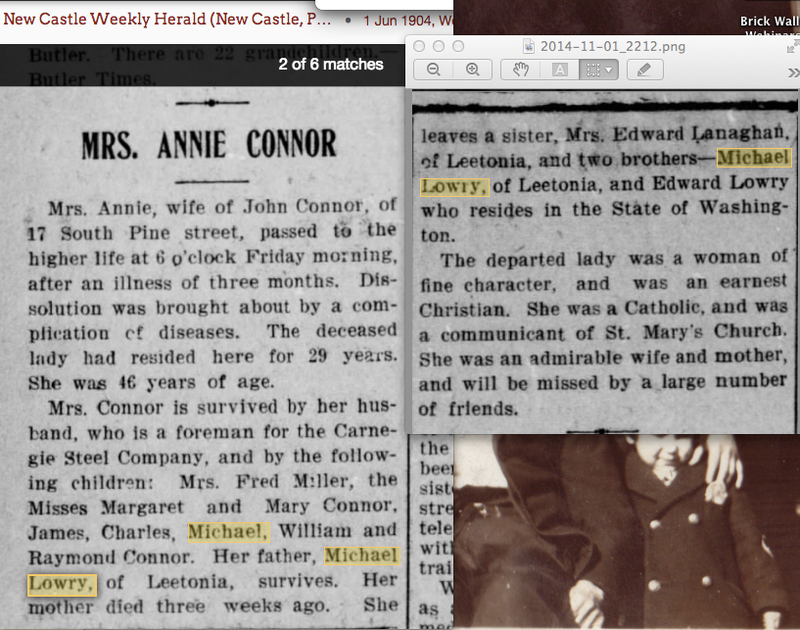 Anna was one of Michael Lowry’s (1830 – 1928) daughters. John was born in 1858 in Ireland and arrived through New York City on 11 Nov 1873. 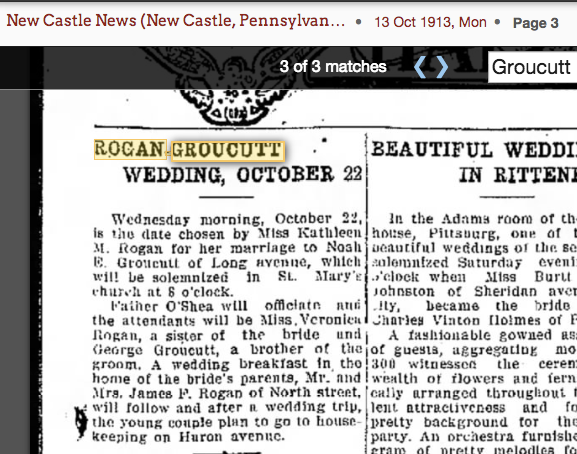 He married Anna in 1875 and they lived the remainder of their lives in New Castle, Pennsylvania. Together they had seven children. John died in 1907 and is buried in Saint Mary’s Cemetery in New Castle.